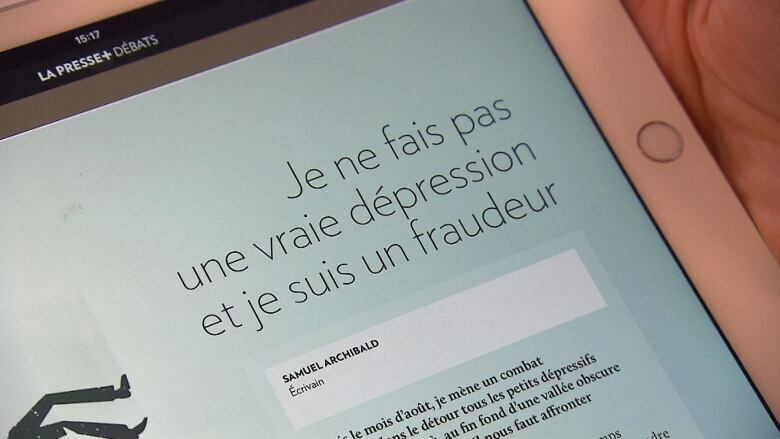 After being denied coverage for his depression, Samuel Archibald received a call from UQAM's group insurance company, Desjardins, on Thursday morning informing him that they had reviewed his file and accepted his claim. Samuel Archibald says he can finally relax after he spoke out about being denied disability insurance last fall, even though his doctor had ordered him to take medical leave for major depression. 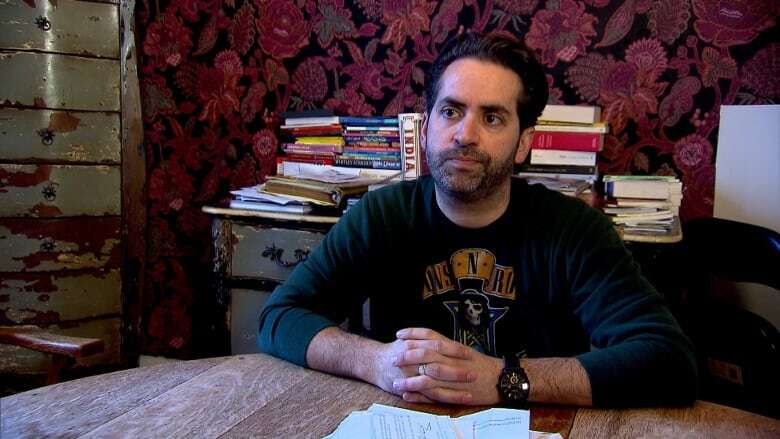 The Montreal novelist and literature professor received a call from UQAM's group insurance company, Desjardins, on Thursday morning informing him that they had reviewed his file again and and his claim was now accepted. "Now, of course, is the time to heal for me," he said. "Because all of these problems, obviously, I wasn't healing very well in the last few months because I was just trying to survive without almost any money." When he was denied coverage last October, Archibald said he struggled to get a straight answer from Desjardins. However, an agent told him that they had Googled him and found out he had given a short radio interview while he was on medical leave and eventually learned they had been tracking his social media. "They could see that I was pretty active and didn't look sick enough I guess," he said. Unable to work, and as the family's main breadwinner, Archibald said he became increasingly anxious about money and his depression worsened. Feeling desperate, Archibald decided he needed to fight back and published a letter about his situation in La Presse earlier this month. That's when Desjardins contacted him. "By writing this letter, and it turned out quite all right, I think I was trying to save my life in some way," he said. The insurance company's doctor reviewed his file, he said, and asked to have a phone conversation with his doctor at the beginning of this week. Desjardins then informed Archibald Thursday that his insurance claim was accepted and that he would also be receiving retroactive payments totalling $20,000. "That's a lot of money and that was dearly missed in the last few months," he said. While Archibald said he is relieved that Desjardins changed its tune in his case, he hopes that insurance companies will be more transparent and undertake major changes when it comes to how they handle claims related to mental health. In the days that followed his public letter, Archibald said he was inundated with thousands of messages of support from strangers and many shared similar "nightmare stories" of how they were also denied coverage. People seeking help shouldn't be made to feel like they did something wrong, he said, which only fuels the stigma surrounding mental illness. "Stop acting like the [insured person] has become an antagonist, an enemy once he or she makes a claim," he said. "I think that's the biggest problem." Until those changes happen, Archibald strongly recommends to anyone in the same situation to push back and demand answers as to why their claims were rejected. As for his own health, he said he hopes he will be able to return to work by the summer. "I feel better than I have in a long time, so now it's time to heal."